What to Do, See and Eat in Brooklyn! In recent years, Brooklyn has become nearly as popular for visitors to New York City as the island of Manhattan. Nearly 2.5 million people live in this borough, and if it were an independent city, it would be the 4th most populous city in America. Brooklyn has many different neighborhoods to explore, each with their own unique personality. There is definitely plenty to do! Brooklyn is easily accessible by subway, train or bus. 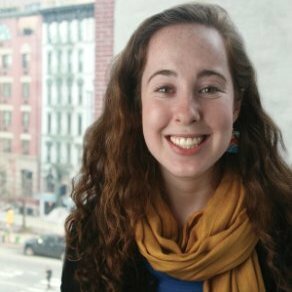 Williamsburg: Take the L Train from Manhattan to Bedford Ave, or the G Train from Queens. Brooklyn Heights: Take the 2, 3, 4, 5 trains to Borough Hall or Q trains. Train: The Long Island Rail Road (LIRR) operates service out of Atlantic Terminal in Fort Green. Service is available from Long Island and Queens. Connection is available to the 2, 3, 4, 5, B, D, M, N, Q and R trains. For station information, please click here. Air: If you are flying into New York, it is easy to get to Brooklyn from both La Guardia and JFK Airports. A cab from LaGuardia to most areas of Brooklyn will cost around $30. From JFK, cab fare will be closer to $50. You can also take the AirTran and connect to the LIRR or A train. Walk or Bike: If you are coming from lower Manhattan, why not walk or ride your bike to Brooklyn? Both the Brooklyn and Manhattan Bridges have pedestrian walkways and bike lanes. There are tons of things to do and see in Brooklyn. Just like Manhattan, it's impossible to see everything. Here are some suggestions to help you plan your own Brooklyn adventures. Brooklyn Museum: A great way to spend the day, or even an afternoon. The Brooklyn Museum has an eclectic collection of art and artifacts ranging from Ancient Egypt to today. Tickets are suggested donation of $12. Prospect Park: Located in the heart of Brooklyn, Prospect Park is a favorite retreat for Brooklynites. Offering 585 acres of woods, fields, and trails, Prospect Park is not to be missed on a nice spring or summer day. Brooklyn Academy of Music (BAM): BAM is a "multi-arts center" located in Fort Green. It offers numerous programs and performances, from opera, dance and film to literary talks and family activities. You are sure to find something to enjoy here. 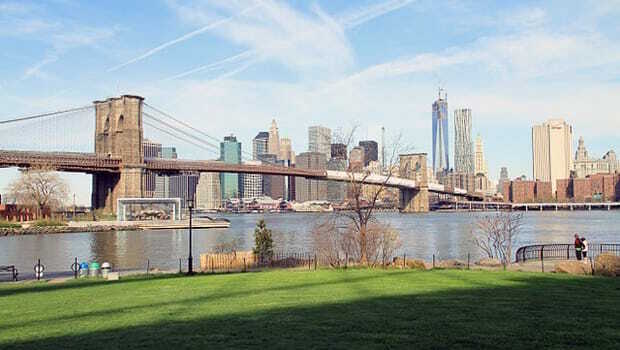 Brooklyn Bridge and Park: Spend an afternoon walking across the Brooklyn Bridge and then lay out in the grass at Brooklyn Bridge Park. Beautiful views along the river and plenty of playgrounds, sports fields, and dog runs for all. There are also free outdoor movies in the summertime. Luna Park in Coney Island: Everyone knows the iconic images of this amusement park on the boardwalk. While the original park from the early 1900's is no longer there, this new one is sure to be as much fun! And lucky for visitors, the historic 86 year old rollercoaster, the Cyclone, is still in operation at the park! Brooklyn Botanic Gardens: Nestled behind the Brooklyn Museum and just next to Prospect Park, the Brooklyn Botanic Gardens provides many specialty gardens and plant collections. Brooklyn Flea: Explore hundreds of vendors selling everything from antique furniture to clothes, jewelry and art. From April through November, the market is outdoors in Fort Green on Saturdays and Williamsburg on Sundays. In the colder months, the flea market moves indoors to Skylight One Hanson in Williamsburg. Grand Army Plaza and Greenmarket: At the entrance to Prospect Park is the imposing Grand Army Plaza with a gigantic arch commemorating the Defenders of the Union during the Civil War. Every Saturday, the plaza hosts the second largest Greenmarket in New York City. All food is grown by and produced by regional, organic farmers. New York Transit Museum: If you have ever spent time in NYC, you know that public transit is crucial to keeping this city and it's eight million inhabitants afloat. Visit the museum to learn more about the history of transit and the development of the greater New York Metropolitan Region. Brooklyn Promenade: Looking for a nice walk along the river? Check out the Brooklyn Promenade. This short walk offers views of the Brooklyn Bridge, Statue of Liberty and downtown Manhattan. Brooklyn Bowl: Go bowling or listen to live music at this multipurpose entertainment venue. A restaurant, bar, performance space and bowling alley all combined into one location. Rolling Stone called it "one of the most incredible places on earth." There are countless bars in Brooklyn, and it would be impossible to try them all. Here is a sampling of some of the Career Training USA Team's recommended locations. Maison Premiere (298 Beford Ave between South 1st and Grand St) — A nice oyster and cocktail bar, a bit on the pricier side. They serve classic cocktails and absinthe. Barcade (388 Union Ave between Ainslie St and Powers St) — Half bar, half arcade. Plenty of old-school video games for all. Harefield Road (769 Metropolitan Ave, between Hunboldt St and Graham Ave) — A good bar with nice outside seating. Great for a drink in the summer. Crown Inn (Franklin Ave between Sterling and Park Pl) — Great sandwiches and cocktails on Franklin Ave.
Franklin Park (18 St. John's Place between Classon Ave. and Franklin Ave) — A great beer garden in Crown Heights with lots of outdoor space for the warmer months. NoBar (Nostrand Ave between Pacific and Atlantic Ave) — While we can't promise you will see Anthony Mackie at NoBar, it's still a relaxed, New Orleans style bar that is worth visiting if you're in the neighborhood. Mirrors on Grand (284 Grand Ave between Clifton Pl and Lafayette Ave) — Self-titled a "local drinking oasis." The Way Station (683 Washington Ave between St. Marks and Prospect) — A steam punk themed bar that is beloved by Doctor Who Fans since the bar has its own "TARDIS" time machine. Plan B Brooklyn (626 Vanderbilt Ave between Prospect and Park Pl) — A relaxed sports bar with plenty of TVs to watch different games. Bierkraft (191 5th Ave between Berkeley Pl and Union St) — Over 1,000 beers in stock and excellent sandwiches. Get a growler to go. Gingers (363 5th Ave between 5th and 6th St) — A lesbian bar with lots of happy hours and karaoke. All are welcome! Barbes (376 9th St. at Corner of 6th Ave) — A wonderful bar and music venue owned by two French musicians. Tabare (221 South 1st Street between Driggs and Roebling) — Amazing Uruguayan place in Williamsburg with nice outdoor patio in the back. SAGE (301 Graham Ave) — Great, reasonably priced Thai food and a good beer and wine selection too! Basik (323 Graham Avenue) — Simple bar food and jazz jam sessions on Sunday nights. Brooklyn Crab (24 Reed Street) — Fresh crab, an extensive raw bar, and sandwiches for seafood lovers. Chavela's (736 Franklin Ave at Sterling Pl) — A neighborhood favorite with fantastic Mexican food and drinks. Weekend brunches are especially popular, so do prepare to wait. Catfish (1433 Bedford Ave between Prospect and Park Pl) — A comfortable and fun New Orleans inspired restaurant and bar. Barboncino (781 Franklin Ave) — A Neapolitan pizzeria that has two daily happy hours from 5:00p.m.-7:00p.m. and 11:00p.m.-1:00a.m. Tom's Restaurant (782 Washington Ave at Sterling Pl) — A neighborhood institution, Tom's has been serving breakfast to Prospect Heights residents since 1936. There's always a line on weekends, but the staff happily serve you coffee and cookies while you wait in line. Dough (448 Lafayette Ave) — Some of the best donuts you will ever eat. Definitely try the blood orange donut! Bogota Latin Bistro (141 5th Ave at St. John's Place) — An award winning Colombian restaurant in Park Slope that has tons of vegetarian and gluten-free options. Sheep Station (149 4th Avenue at Corner of Douglass Street) — An Australian "local" restaurant and bar. Di Fara Pizza (1424 Avenue J) — Classic, incredible pizza! What's your favorite thing to do, see, or eat in Brooklyn? Add your ideas in the comments!